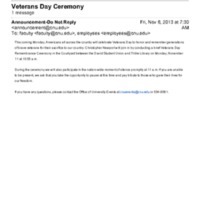 Memo explaining that the program for the Veterans Day ceremony is enclosed. 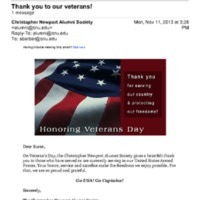 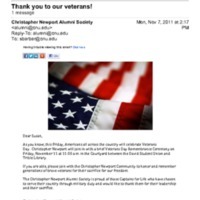 A thank you email to veterans from the Alumni Society. 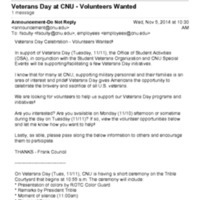 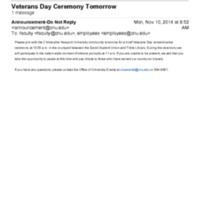 An email announcing a brief Veterans Day ceremony on November 10, 2014.